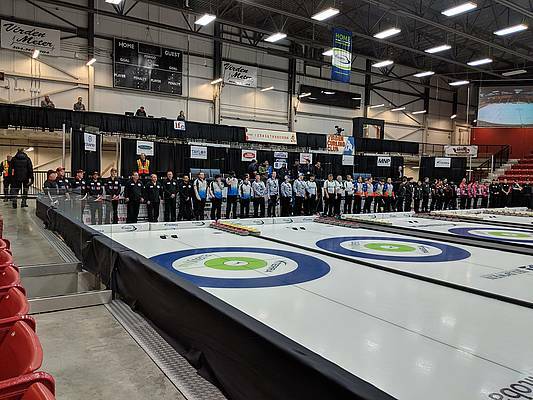 Virden, MB (CKLQ) - Two points in the final end put William Lyburn's team in the semi-finals at the 2019 Viterra Championship in Virden. Lyburn scored two to beat Tanner Lott in the 3 v 4 page playoff game to advance to the semi-final, where he will play Jason Gunnlaugson's team. Gunnlaugson was beat 9-2 when they took on Reid Carruthers' team on Saturday evening. Carruthers will wait for the winner in the final. Semi-Final starts at 8:30 a.m., with the final happening at 2:30 p.m.